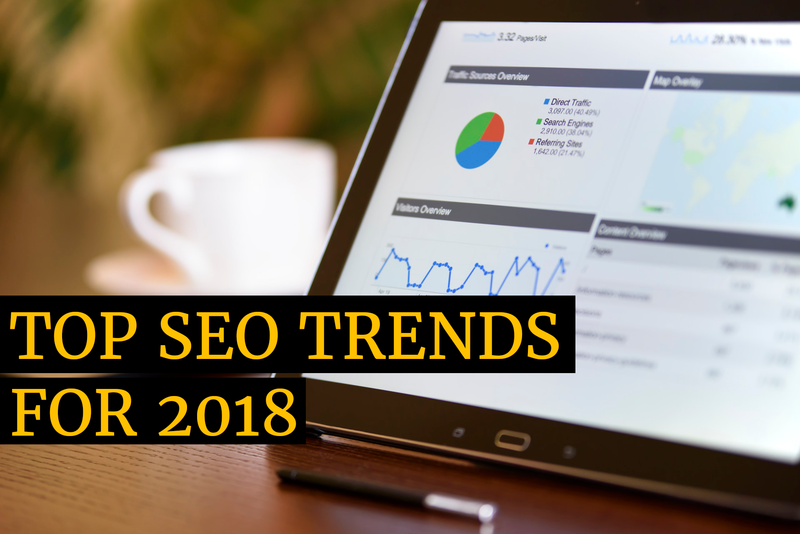 Top SEO trends that'll dominate the year 2018! Home / Blog / Top SEO trends that’ll dominate the year 2018! The craze of generic SERPs is slowly dying away. The increasing fondness of mobile devices and the growing preference for personalized solutions. Website visitors today want an accuracy in their search results and that’s what the search engines strive to provide. The latest trends suggest a reduced possibility of errors due to an introduction of new search indicators such as location, voice. In order to appear high up in the search results in 2018, the websites will need to consider all these additional factors. The primary reason for Google launching AMPs was the increasing ratio of website abandonment. Also, the AMPs were meant to solve the problem of slow loading websites and provide a better experience for the website visitors and eventually decrease the bounce rates. As a matter of fact, Google will now rank sites using AMP in their Top stories section of each search result pages. So, whenever you make a search attempt from your mobile device, any story you choose will load blazing fast. This would further affect the SEO of your business. Gone are the days when people used to Google things they wanted to know about. Today, people are busier than ever. So, they opt for voice search. The fact that people are growing fond of voice search, makes it necessary for the website owners to optimize their sites for the same. Instead of the short or long tail keywords that the visitors used to enter in order to make a search, they now use voice keywords. They simply speak up actual, proper questions so as to get the desired results and that’s exactly what the websites need to be optimized for in the coming year! It’s a no-brainer that the businesses cannot exist without customers. With Google laying an emphasis on user experience, it becomes more than mandatory for the website owners to strive their best to provide the best possible experience to all their users. The reason Google has made the good user experience for SEO more important than ever is that people tend to engage more when the UX is smooth. This further helps the search engines to identify which pages are more useful for people. So, ensure that you monitor your website, identify the weak areas and eliminate them so as to make the right changes to be ahead of your competition in the SEO game. As a matter of fact, the major tech companies including Bing, Pinterest and Google have already invested in developing powerful visual search engines. That’s because along with voice search, visual search is yet another SEO trend that is supposed to make it big in the upcoming year. So, it’s imperative that websites leverage the power of rich visual content in 2018!